Planmeca has launched the new generation Planmeca Compact i dental unit with an integrated 4.3 inch touch panel. The dynamic user interface adapts to the selected instrument and displays all relevant functionalities at a touch of the fingertip. The touch panel technology provides the opportunity to fully enjoy the benefits of a digital dental unit in the daily clinical work. The intuitive use of the Planmeca Compact i dental unit and enhanced infection control are the main design outcomes of the streamlined new user interface. The dental unit is made simple to use by displaying clear symbols and text in the large touch panel. The dentist and assistant both benefit from the panel’s excellent viewing angles and superb contrast ratio. In addition, the high resolution LED backlight screen is energy-efficient. Key advantages of the new touch panel interface are the improved features for instrument use. The real-time user interface guides the user with clear symbols and text during instrument use. All necessary adjustments are made effortlessly on one screen. The Planmeca Compact i Touch provides optimal support for individual user preferences and intelligent presets in clinical patient treatment. Infection control is further improved with clearer infection control features: the user is guided by simple notifications to perform the dental unit cleaning cycles. Moreover, the touch panel is integrated in the new and durable aluminum cast console, which provides the best possible lifespan and resistance. The powder-painted epoxy surface is easy to keep clean and tolerates disinfection liquids. The new, smooth lined design also has open handles offering the possibility to use sleeves if preferred. The new touch panel interface is ready for the integration of upcoming instruments for specialist needs in the near future. In addition, the new Planmeca Compact i Touch features other product enhancements such as a new robust foot control, a practical connecting mechanism for cuspidor panels and a significantly more versatile and ergonomic movement range for the Planmeca SingLED operating light. The software package 6.0 also includes support for the lightest LED-based brushless micromotor on the market, the Planmeca Minetto. The new Ethernet module makes networking of the Compact i dental units even easier. "Planmeca continues to be committed to user-oriented, functional product development and design combined with the latest technology. Our mission is to help the dentists work in a modern dental office where ergonomics, hygiene and functionality are paramount," explains Mr. Tuomas Lokki, Vice President of Sales and Marketing at Planmeca Oy. The touch panel interface will initially be released for the balanced arms and side delivery type dental units. 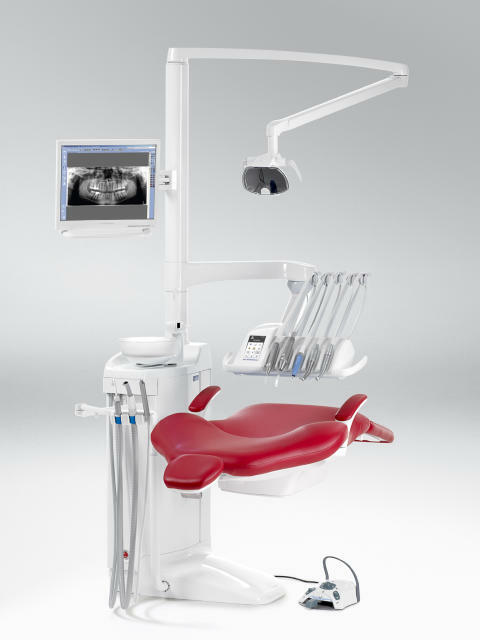 The new console can be retrofitted to all Planmeca Compact dental units. ​Planmeca’s aim is to create functional, durable and beautifully designed dental units that stand the test of time. We do this by always keeping our four design principles in mind: ergonomic workflow, patient and staff safety, patient comfort and long lasting aesthetics. Here are some of the most frequently asked questions about Planmeca dental units.